The street photographer, here shooting a small bed in a small room: a headboard, what looks like a gilt bedspread, and a heart-shaped pillow that might be covered in heavy fabric, big enough for only one head. A decade before the fact, it’s the clearest glimpse ever of the inside of Heartbreak Hotel. A private eye is trying to get information out of his client, who just wants to bite his head off. The Ramones on her stereo aren’t helping. Then she puts on Roxy Music, which stops the action the way a sap on the back of the detective’s head would in a normal crime novel. “She sat at the drafting table, stubbed out her cigarette, and rubbed her eyes with the tips of her fingers… I watched her and lis­tened to the music and we sat that way for what seemed a long time.” Four minutes, thirty seconds: The song is “More Than This,” never sounding more true than it does in the silence of a page. You get the feeling Khaela Maricich’s voice can go anywhere without her leaving her room in Olympia—even, as in “True Affection,” 20,000 leagues under the sea. “You were out of my league,” Maricich sings, bringing the old story back to dry land, maybe making you care more about how her story turns out than you ever did about Jules Verne’s. On the inside sleeve: “This is an irony-free recording.” Which refers to… the album title? The songs (including “My Boyfriend’s Back,” which is not a cover of the 1963 hit by the Angels)? Or how to live? A lost-tapes mystery—all blues mysteries are lost-tapes mysteries—but unlike the rest, this pays off with a climax so rich you want to hear the tapes as much as the people hunting them down. Murder ballads one after the other, and, not halfway through, enough to make you queasy. Especially the indelible little number “The Beauty in Her Face,” which goes as far into the mind of a killer as anyone needs to. You know how it’s going to end before the first verse does, and you spend the rest of the song trying to make it come out differently. 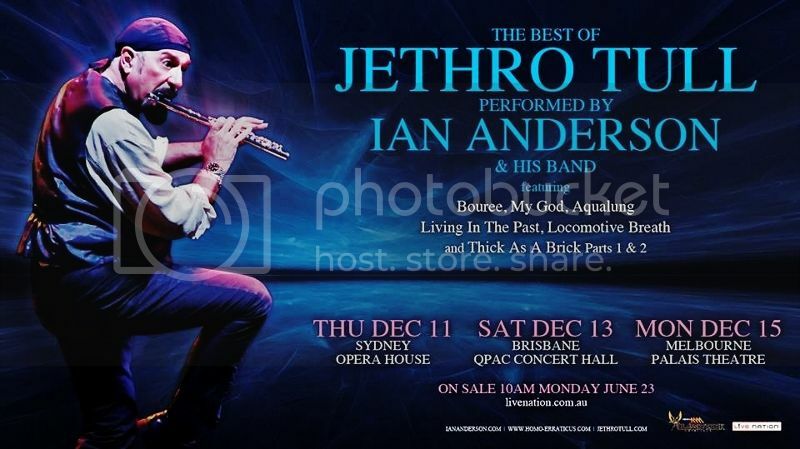 “Ian Anderson, founding member of the legend­ary rock band Jethro Tull, has long been consid­ered to be the foremost and to many, the only exponent of rock-style flute”—and God knows being the only is a sure way to being the foremost. Not to mention appearing as your own tribute band. Chamber folk music from Brooklyn, but where the 2002 Rabbit Songs could get under your skin like a disease, here Sally Ellyson’s singing is all but willfully pallid, and the music goes nowhere. Except in the instrumental “The Burnt-Over District”—named for the section of western New York that in the 1820s was so inflamed by revivalism that by the time Joseph Smith led his flock west there was hardly anyone left to save—which weaves the theme to The Manchurian Candidate into “Shenandoah” and goes all over the country, from then to now. This entry was posted in Elephant Dancing. Bookmark the permalink.